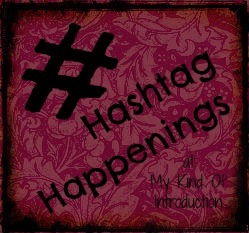 #LastSummerAroundThisTimeIWas is the Popular #Hashtag tonight! That was pretty funny! Some of the tweets that I found on Twitter, using the hashtag #LastSummerAroundThisTimeIWas, were not exactly family oriented material but they did made me laugh!! lol There are some wild people in this word and it seems like alot of them enjoy twitter. I always try to do my own tweet when I see an interesting hashtag trending, Did you notice my tweet above?